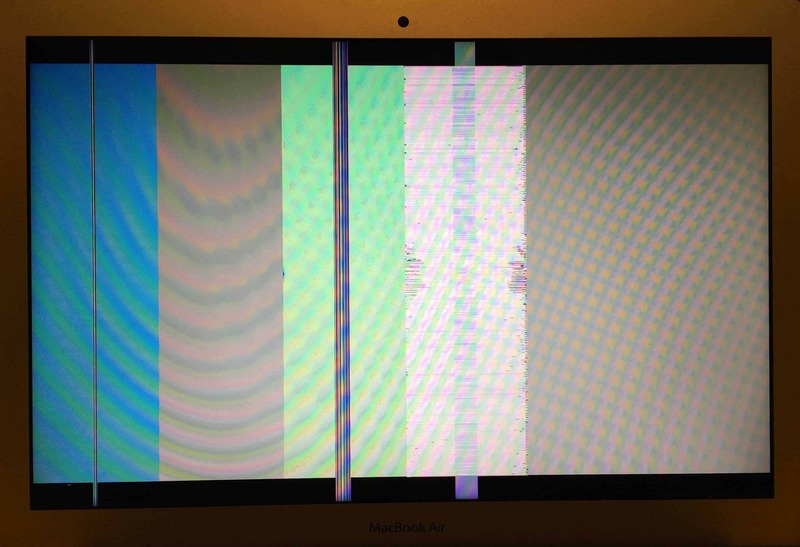 Vertical lines on a MacBook Air screen are caused by loose or damaged ribbon cables in the LCD panel. In order to repair this issue we have to replace the LCD panel completely. by specializing in MacBook Air display repair, we are able to offer a fast 24 hour turnaround and keep our prices low by replacing just the failed component in your Mac. If you have a broken screen on your Mac and are unsure what service you need, please fill out the form below and we will get back to you within a few hours.